A compact pedal board frame, perfect for players who want to keep their setup small and simple, or for the quick weekend jam where you need to take along a few of your "must have" tones. 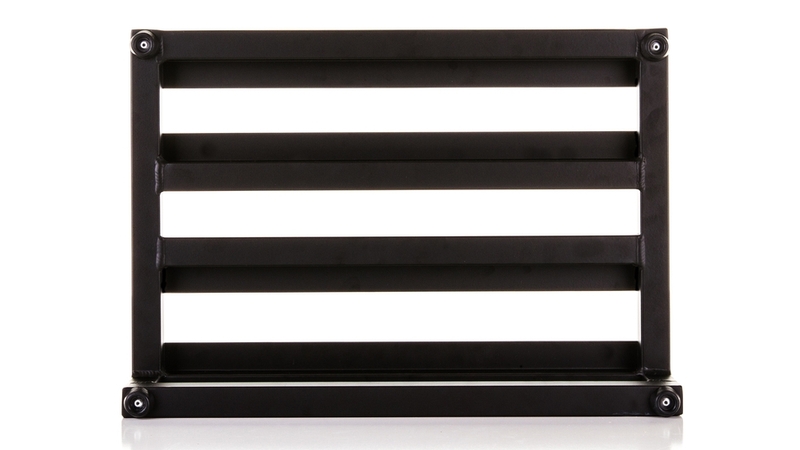 Includes brackets for mounting your favourite power supply underneath the frame. Comes with a heavy duty ATA flight case. 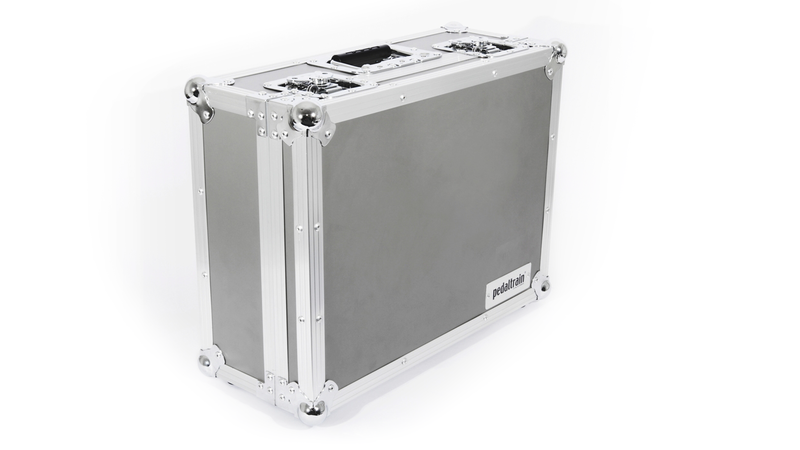 Like the larger flight case models, there is plenty of interior storage space for all your extra stuff and you’ll never have to worry about baggage handlers or volunteer stage crews again! Aircraft grade aluminium; 3 lbs. Includes: Power supply mounting brackets; Hook-and-loop with adhesive backing; Zip ties.